OLD PARKED CARS. 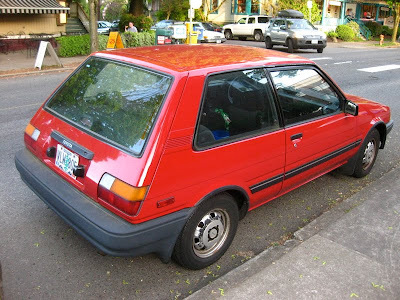 : 1988 Toyota Corolla FX. That side profile is awesome. 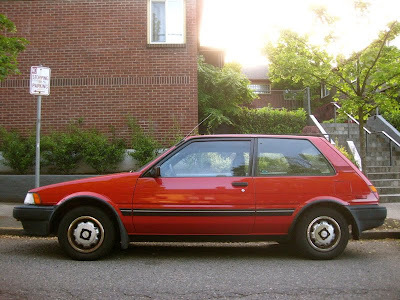 Love those trim rings on the rims. Great color and condition, what a charming little guy. 100% respectable. I had one of these a couple of years, 4 gears absolutely no accessories, not even clock(!). I believe that, but I bet the gas mileage never gets old! 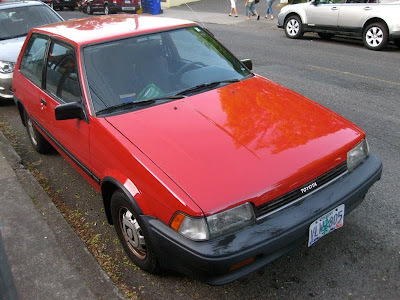 I really want to find an FX16 GT-S to shoot, the only FWD car of the 80s that has ever sounded tempting to me (except a Ford Fiesta). More aggressive suspension, bigger tires and sways, 108hp, 7500 RPM redline and under 2500 pounds. is this 1988 corolla fx for sale?